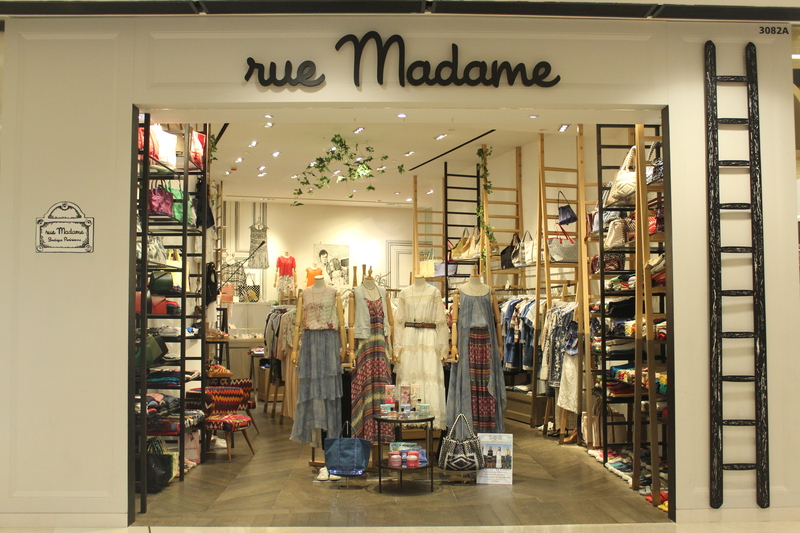 Rue Madame opened its first store in 2011 at ifc Mall, one of the most main prominent shopping destinations in Hong Kong. Rue Madame, the Parisian select boutique launched by founder Ariane Zagury in Hong Kong six years ago and in Singapore in 2015, proudly announces a 6% growth in sales in the first half of 2016 (as compared to last year), where the second quarter saw a significant 15% increase (as compared to Q2-2015) — despite the overall retail downtown, where in Hong Kong, fashion sales’ figures were down 9% from January to May this year. Led by the founder’s personal French- chic style, Rue Madame is revered for its uniquely effortless approach to fashion — which is adored by its professional female clientele and casual shoppers as well as local fashionistas. Rue Madame offers a wide variety of choice and an affordable price point, filling the gap between the high-end luxury sector and fast-fashion trends. Rue Madame expects its e -shop to represent 10-15% of its total sales in 2017. This strategic and sustainable development represents the corner stone of the ever -expanding business, seeing Rue Madame embark on a whole new adventure.